BlogHome » How Many Kisses in the Pot? Recount or describe key ideas or details from a text read aloud or information presented orally or through other media.. Strips of paper with “three kisses” on half and “no kisses” written on the other half. 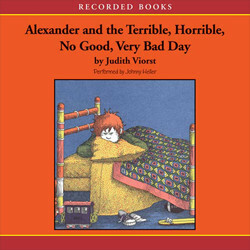 Tomie dePaola is the author of this story, but actually retells it to a modern audience. In this story, there are two main characters. The first, a witch, can make magic with her magic pasta pot. Her helper, Anthony, wants to perform magic, but doesn’t listen very well, so he creates a problem larger than a whole town of hungry people! Try to see if you can listen for every step of the process to make pasta, and to end the pasta-making session. Discuss (and list) the steps behind making the pasta in the magic pot. Blowing three kisses in to the pot. The students will perform as Anthony. The teacher will slip a note to the student that says, “three kisses,” or “no kisses,” which the student should keep private. As they recite the spell, they should “stir the pot” with their spoon (or a pencil). Students should pretend to remember or forget the kisses based on what their paper said. After this step, the student’s pot will overflow with imaginary pasta. Coach students to react to the pasta covering “the town” (your classroom). Then the students should recite the “enough” part of the rhyme. The teacher would ask the class if this helper should be paid the three coins or not, based on whether or not they gave the three kisses. *For the first few rounds, try to alternate students who give the kisses with students who do not, to emphasize the contrast. Summary: if Anthony’s “enough” spell did not work because he did not include the detail of the kisses, have him pretend to eat the pretend pasta that is all around your room, until directed to be seated. If the actor playing Anthony remembered the three kisses, pay them the three coins, which was Anthony’s salary. Before paying Anthony, ask the class if he earned his money. 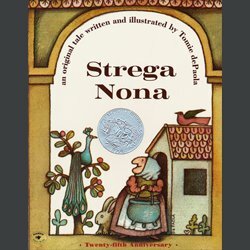 Reinforce that Anthony needed to listen to details when Strega Nona was casting her spell, just as they need to listen to details in a story or it can have an entirely different ending. Ask the students, as a class, why Anthony wanted to use the pot so badly that he went against his employer’s specific directions. Was he drawn to the pasta or the magic? Offer time to explain their reasoning or draw the scene as pictured in their minds. Students who are not comfortable acting out the story can be given supporting roles, such as setting up the props, handing out the strips or paper, or delivering the payment to the actor, if they earned it. Tomie dePaola has written over 200 books for children. This story has English and Spanish versions available on Tales2go. Consider playing both versions for the class before the activity to listen to the emotions in the Spanish version and if students are not bilingual, see if they can listen for patterns in the story, based on tone and fluency. Spanish-speaking students may perform in front of the class with more confidence after hearing both versions. 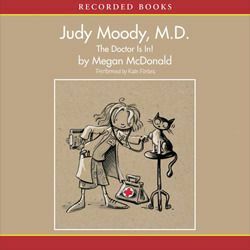 Turn a fun Judy Moody story into a lesson about the human body! 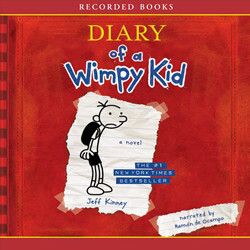 Model Greg's diary with a physical and digital (recorded) diary.